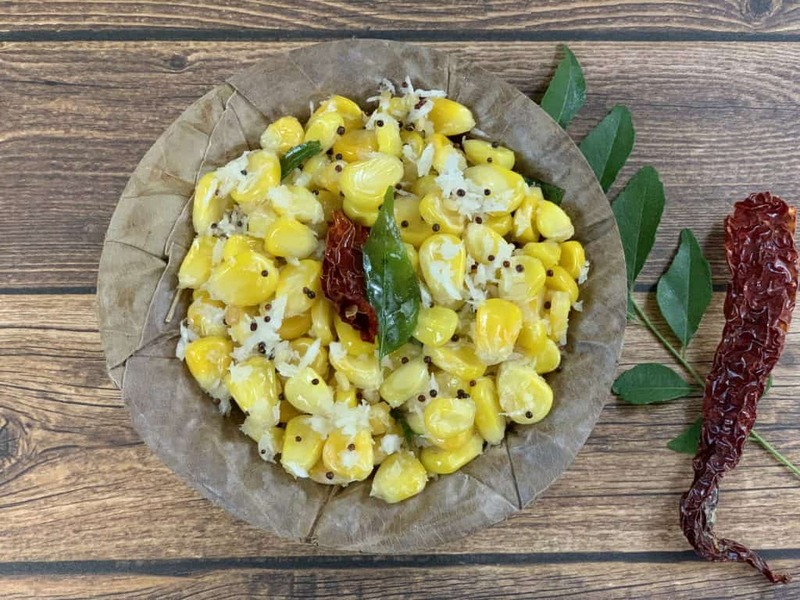 Sweet Corn Sundal is a South Indian recipe ideal for festivals like Navaratri. Corn stir fried with red and green chillis, grated coconut and curry leaves, giving it an amazing aroma and flavor. 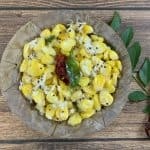 In India Navaratri festival is celebrated for nine days.We prepare different sundals on each day on these nine days as prasadam.This is one easiest sundal recipes and kids favorite too. ★ DID YOU TRY THIS RECIPE? Don’t forget to give a ★ rating. Just click on the stars in the Recipe Card to rate! Boil sweet corn in very less water adding salt. Drain off excess water if any. Alternatively you can also steam it with a little salt . Heat oil in a pan, add mustard seeds, when it splutters, add urad dal, red chilli and hing. When dal turns golden brown, add green chilli and curry leaves. Saute for few seconds. Add sweet corn and salt as required and toss on high flame for a minute.Then turn off the flame. Add grated coconut, mix well again. You can add a few drops of lemon juice and garnish with coriander leaves if preferred. 1.If you are using frozen corn then you can microwave for 2 minutes instead of boiling or steaming on the stove top. 2.To make it more healthy you can add grated carrots too. Subscribe to my Youtube Channel for healthy & tasty video recipes.